Sheriff’s detectives and a specialized sheriff’s technology-crime unit were conducting a follow-up investigation Friday after determining that a pair of emailed bomb threats made late Thursday against two North County high schools, including one that’s on spring break, was likely part of a “swatting” hoax, authorities said. Deputies searched both campuses — Bonsall High School is in session, but Fallbrook High School is on spring break — and the residence where the student lives with his family, Munsch said. No bombs or other explosive devices were found. “It was determined the student was not involved and was possibly the victim of `swatting,”‘ the sergeant said. Swatting is an illegal practice intended to send law enforcement — often a SWAT team — to a particular place as a frightening prank. Detectives from the Fallbrook substation and the department’s Computer And Technology Crime High-Tech Unit (C.A.T.C.H) are conducting the follow- up investigation and searching for suspects who might have sent the threat, Moreno said. Swatting is typically used to scare, embarrass or smear the reputation of a target, but can have much more serious consequences. In December, a swatting episode led to the death of an unarmed Kansas man who was shot in front of his home by an officer responding to a false report of a shooting and hostage situation. A Los Angeles man faces a manslaughter charge for allegedly placing the malicious call. On March 14, a SWAT response near San Elijo Park in San Marcos was likely the result of a phony swatting call, authorities said. 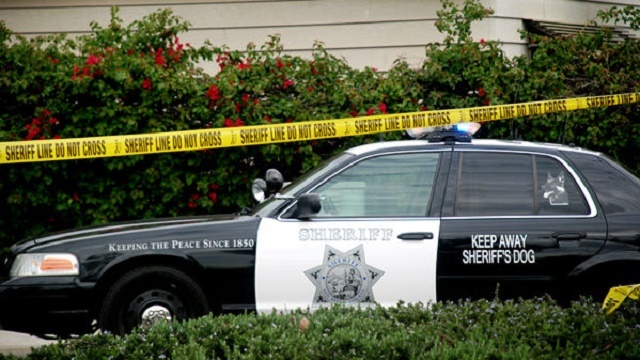 Law enforcement were told that a woman had been shot inside a home in the 1400 block of Clearview Way, but after deputies rushed to the neighborhood and surrounded the dwelling, a man appeared on the balcony and told deputies there had been no shooting. The resident — a video-game enthusiast who said he had been victimized by a similar bogus 911 call — let the personnel in, and they confirmed that there had been no gunfire and that no one was injured. The bomb threats against the North County high schools came less than 12 hours before law enforcement and education officials planned to speak out against a recent spate of violent threats against area campuses. At least 20 apparently baseless threats have been made against San Diego-area schools since the Valentine’s Day massacre at Marjory Stoneman Douglas High School in Parkland, Florida, according to local police and prosecutors. Though none of the juvenile perpetrators are believed to have intended to carry out school shootings or other types of attacks, the rash of allegedly false reports has left at least nine local youths facing criminal prosecution. During Friday morning’s briefing, the officials “will discuss the increased number of school threats since Feb. 14, the consequences of false threats and the importance of communication among law enforcement agencies, schools, students, parents and the community,” according to a statement from the school district.